Home > Blog > The Beluga Boat Cam is Live! You've probably heard of the polar bear cam - a live feed video of Churchill's polar bears that can be watched around the world from the comfort of your own home. 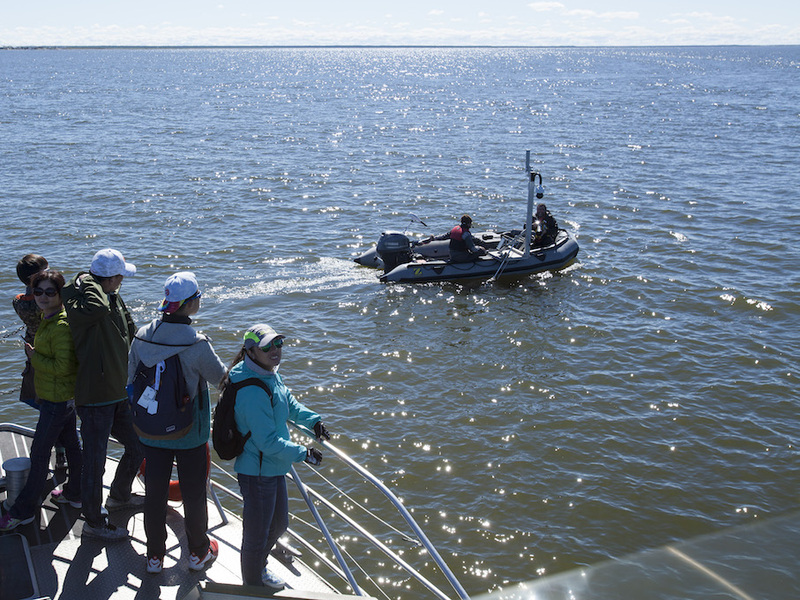 For the fifth year in a row, we are happy to announce that Churchill's beluga boat cam is live, showing people around the globe the curious and friendly whales that spend their summers in the warm waters of the Churchill River (at least warmer in comparison with the arctic waters in which they spend the rest of their year). The beluga boat cam, a joint venture run by explore.org, Polar Bears International and Frontiers North, runs approximately mid-July to early September, capturing the daily goings-on of the Churchill River beluga whales. The above deck cam lets people view pods from afar, see the weather conditions and river, and interact with the Beluga Boat Captain who provides running commentary and answer questions. The below water cam allows viewers to see the belugas get up close and personal, and to hear the beluga whales beautiful chatter all day long. The beluga boat cam has garnered a large online fan base and now viewers can take snapshot photos of the whales to share with beluga whale researchers as part of a new Citizen Science Program. Captained by an experienced beluga guide, the beluga boat bam captures incredible video and audio footage of the beluga whales and sometimes the cams capture live footage of polar bears on the shore. 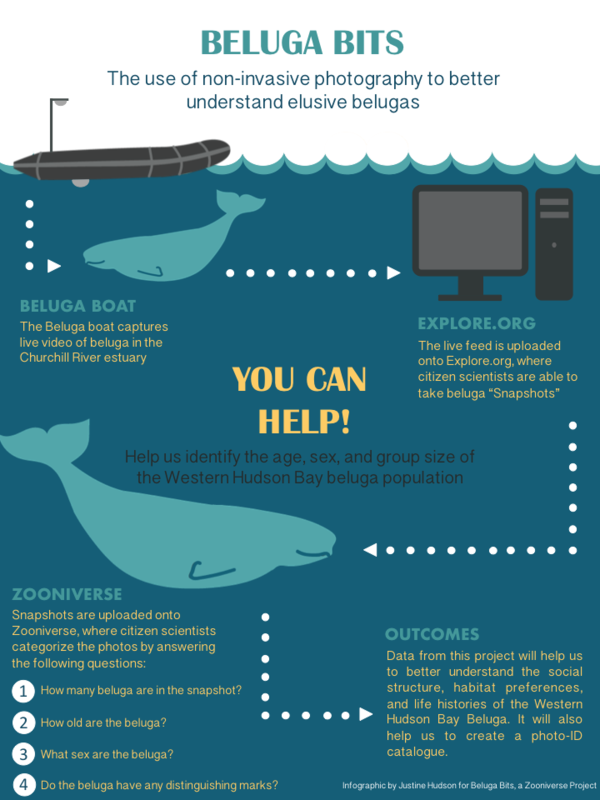 Tune into the beluga boat can and you can become a citizen scientist! Use explore.org's snapshot tool to take pictures of the belugas you see on the cam or categorize the pictures that were taken on the Beluga Bits website. Learn more about the Polar Bears International Beluga Bits Citizen Science Project. Don't miss out on this incredible chance to see Churchill's beluga whales at play. Check out our summer adventures, and see the belugas with your own eyes!